Billions of stars and thousands of galaxies hang out in our cosmic backyard, providing glimmers of light in an endless sea of blackness. Of those galaxies, Andromeda is the largest, brightest and — at 1.5 million light-years distant — it is our closest neighbor (coincidentally, it will ultimately trigger the end of the Milky Way, when the two combine and form a larger, elliptical galaxy tentatively called ‘Milkdromeda’). 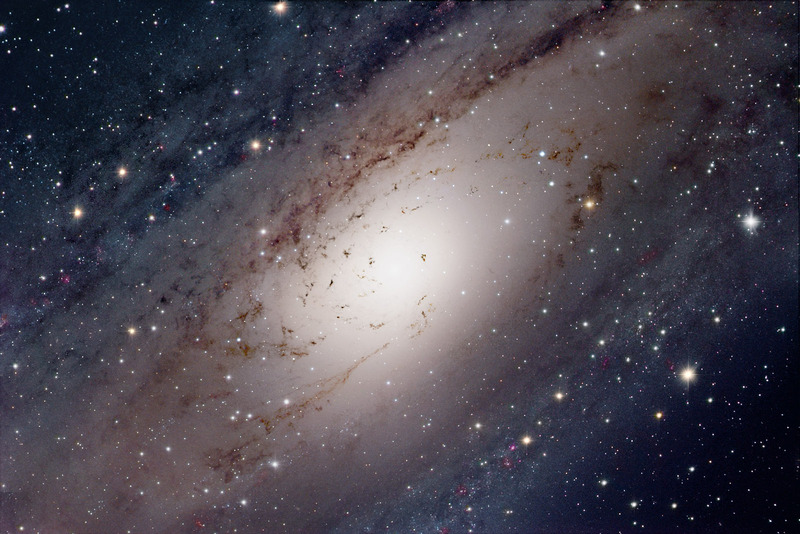 Andromeda, also known as Messier 31, contains about one trillion stars (more than twice the amount our galaxy has), all packed within 200,000 light-years of space time. Naturally, its central core is most densely-packed; it also harbors a black hole with the mass of approximately 30 million Suns. Believe it or not, this image of the heart of Andromeda was processed by the one and only Robert Gendler, an astrophotographer known for his stunning composites. It’s every bit as beautiful as any image you’d find in the galleries of NASA, the European Southern Observatory, or the ESA. 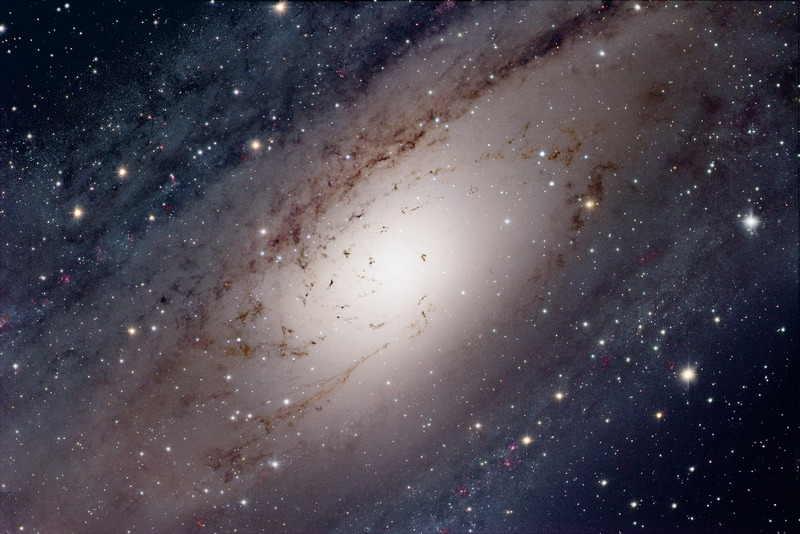 Specifically, his image focuses on the dark knots of dust that pervade Andromeda’s nearly 10,000 light-years wide core (sidenote, Andromeda has a strange, double-nucleus structure, perhaps one of them once belonged to a smaller galaxy M31 cannibalized long ago). However, some of the stars you see in the foreground belong to the Milky Way.